If you're not happy with the extra skin under your chin (often referred to as a "double chin" or "turkey neck"), you aren't alone. Upwards of 80% of people with a "double chin" are concerned about the condition, known in medical terms as submental fullness. Although diet and exercise can help, sometimes aging and genetics make it difficult to impossible to completely get rid of submental fullness without medical intervention. 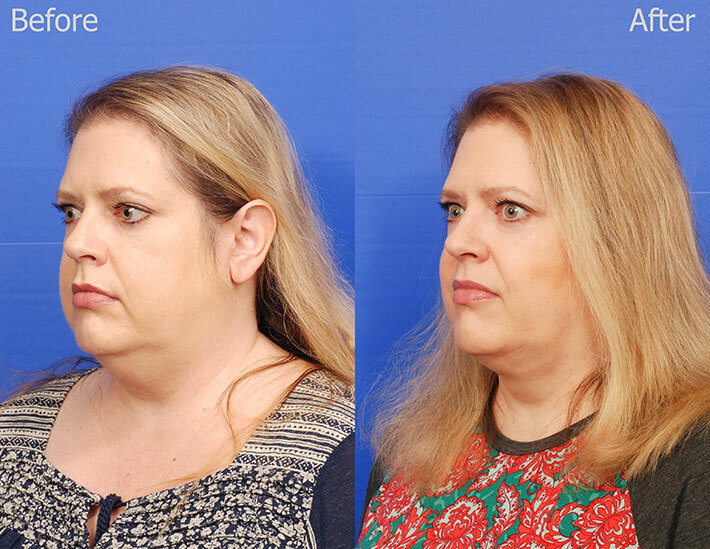 Until Kybella, the only medical solution was liposuction, a surgical procedure. 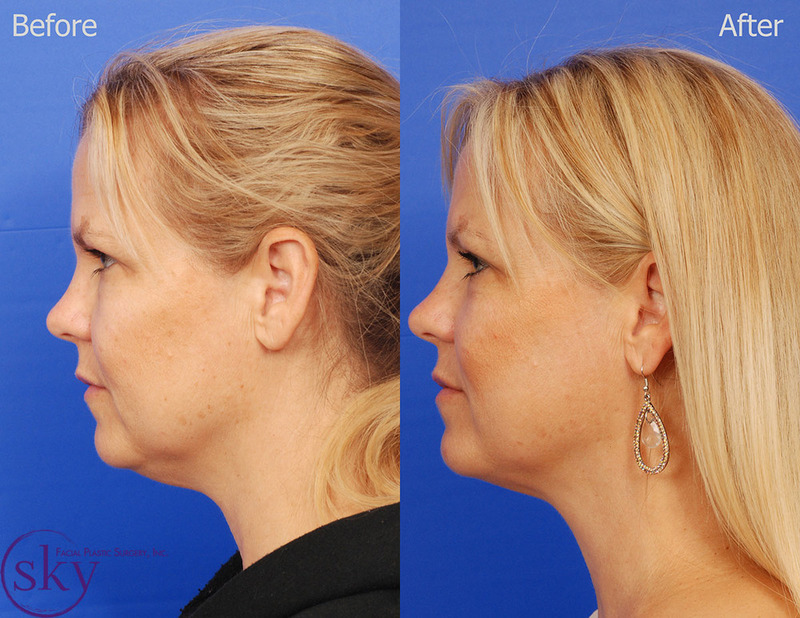 Kybella is the first and only non-surgical solution to submental fullness that is FDA-approved. Kybella is a liquid injectable composed of the active ingredient deoxycholic acid, which is a naturally-occurring molecule in the body that helps dissolve fat cells. Once destroyed, the fat cells cannot store or accumulate fat, meaning the results are permanent. 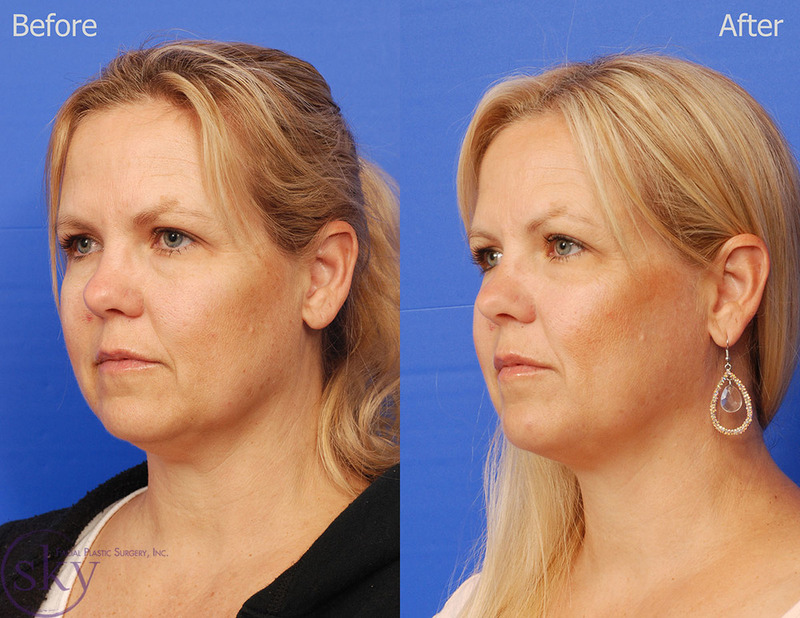 In April 2015, the FDA approved Kybella to treat submental fullness. This revolutionary treatment is now available for the first time to the public. Because there are nerves and muscles all around the injection area, it is important to go to a doctor, like Dr. Yoo, who has been formally trained to safely administer Kybella. Want to know if you're a good candidate for Kybella? Schedule a consultation with Dr. Yoo. For the treatment, Dr. Yoo will first apply an anesthetic gel to the injection site and let it sit for about 20 minutes. After the gel has taken affect, Dr. Yoo applies temporary ink to the injection site, marking where each injection needs to go. Injections are placed in a grid pattern to ensure the solution is placed evenly into the targeted fatty tissue. A single treatment typically involves 20-30 injections, however discomfort is minimized due to the anesthetic gel. After each treatment, you will experience swelling around the injection site that lasts less than a week. While swollen, the area may sting, which means the treatment is working and the fat cells are dissolving. Patients can expect to see the final results after two to four treatments spaced at least four weeks apart. 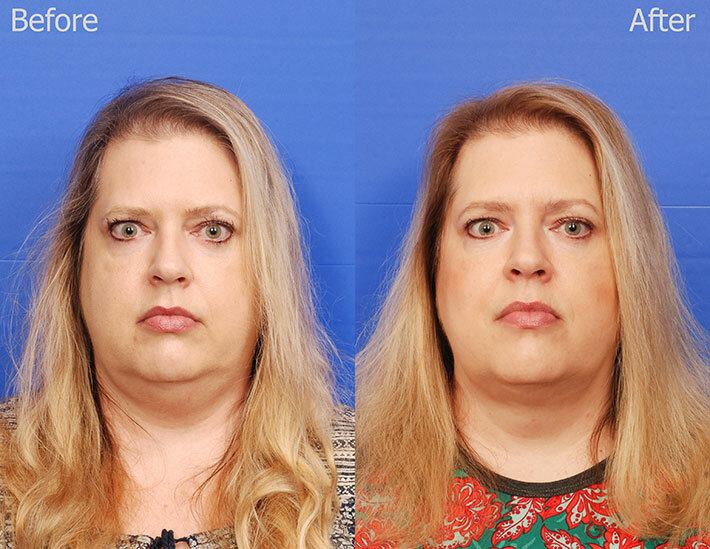 Only you and your doctor can decide if KYBELLA® is right for you. 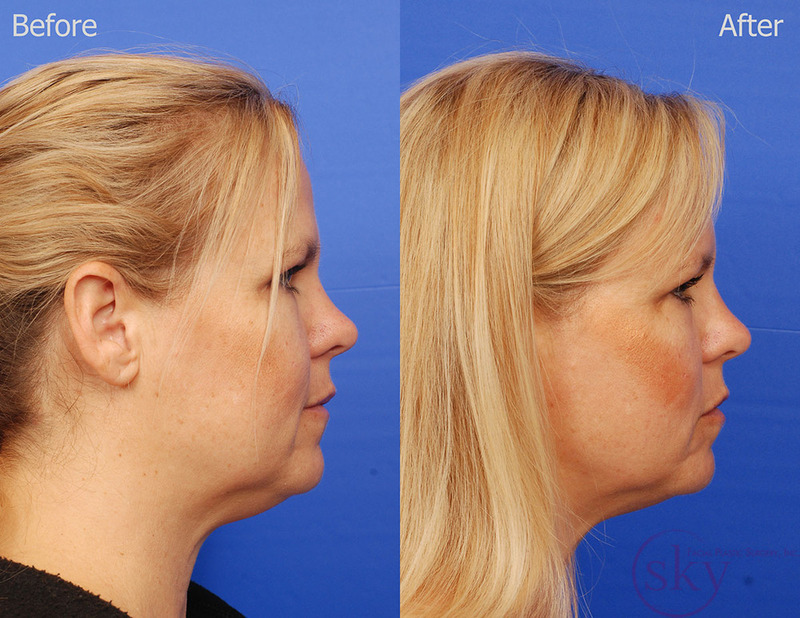 If you’re bothered by submental fullness, or double chin, ask Dr. Yoo about KYBELLA®. You and Dr. Yoo will customize your KYBELLA® treatment regimen, including how many treatments you need, based on your desired chin profile. Many patients experience visible results in 2 to 4 treatment sessions. 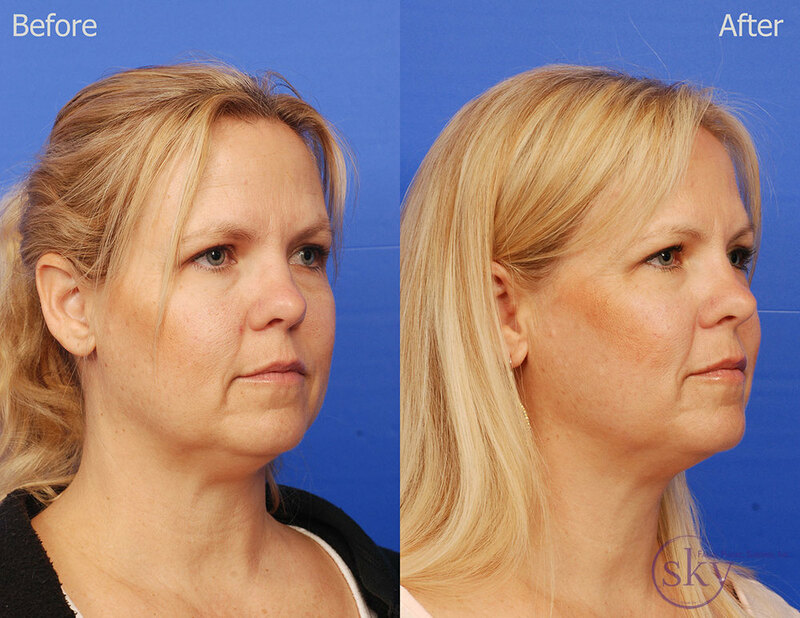 During these sessions, Dr. Yoo will administer KYBELLA® into the fat under your chin using multiple injections. Up to 6 treatment sessions may be administered spaced no less than one month apart.